The first is in regard to the possible sale of the 1,518-space Santa Fe Parking Garage currently owned by the city. Under the agreement, Continental Resources and BancFirst would be the new joint-owners of the facility. BancFirst is in the process of purchasing Cotter Ranch Tower out of bankruptcy and have told city officials they need control of the Santa Fe Garage plus more parking before they would close on that purchase. Continental is concerned about the future demolition of the Cox Center where the majority of its 700 employees presently park. The terms of the MOU call for a $22.5 million price tag. 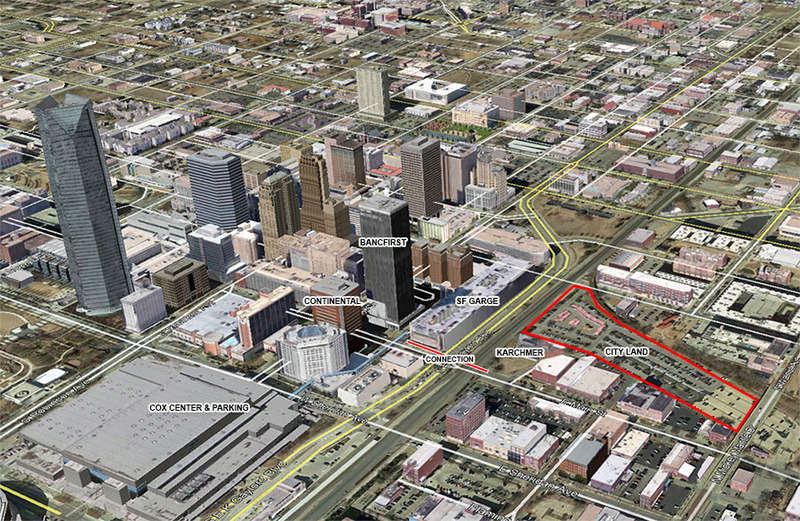 The second MOU regards the city possibly selling approxmiately 6 acres in Bricktown to local developer Don Karchmer. The purchase price is set at $1.4 million pending an updated appraisal. Karchmer owns land to the south and wants to build a large parking structure on his property and on that he would buy from the city, then link the new facility to the city's Underground pedestrian corridors, or through an overhead walkway that would span EK Gaylord Boulevard and connect to the central business district. 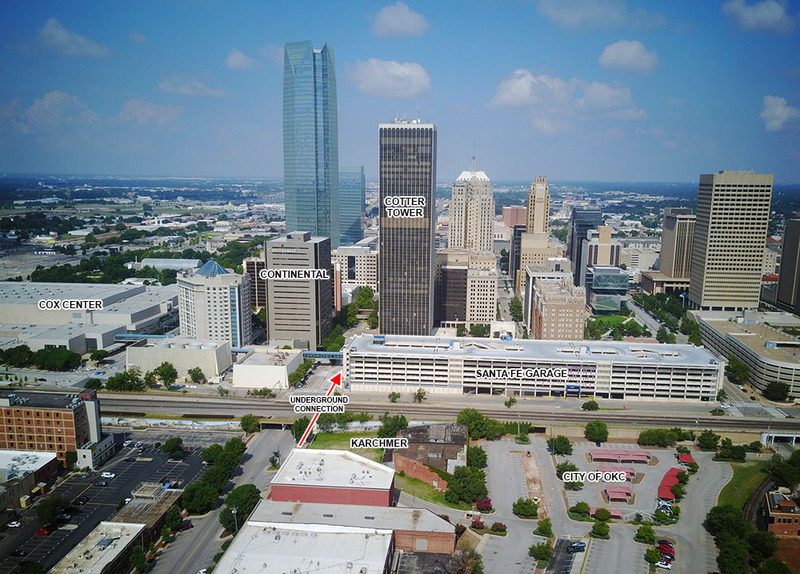 This move also seems to be connected to BancFirst's desire to secure long-term parking for all the tenants in the 36-story tower. City council will be asked to approve both agreements in its next meeting on July 17th.